Over the next few months Istanbul’s galleries and museums are pulling out all the stops before the summer exodus. The following exhibitions in Beyoğlu are particularly exciting, and, as a bonus, they can be visited during the course of one day. Once you’ve had your Turkish coffee and some sustaining börek, head over to Istanbul Modern for the first show. The walk past the rubble and construction sites into the museum entrance – Istanbul Modern seems like the only structure still standing in this part of Karaköy – will get you into the right headspace. The destruction of neighbourhoods and green spaces in the quest for increased profits, the sprouting of new skyscrapers on the Istanbul skyline, the displacement of Istanbul’s poor to high-rises in the outskirts of the city – the Istanbul housing landscape has shifted significantly in the past decade, inspiring artworks and exhibitions aplenty. Yet this is by no means a new story. Don’t Be Late Home, the fifth exhibition in the VitrA Contemporary Architecture Series at Istanbul Modern (ending June 26), depicts and describes in detail how the approach to living spaces in Turkey has evolved – often by leaps and bounds – from the late Ottoman period up to the present. There is certainly a lot of ground to cover: in the time between the proliferation of stately wooden yalılar in the 19th century and the mixed-use developments popular today there was a massive restructuring of the experience of space. 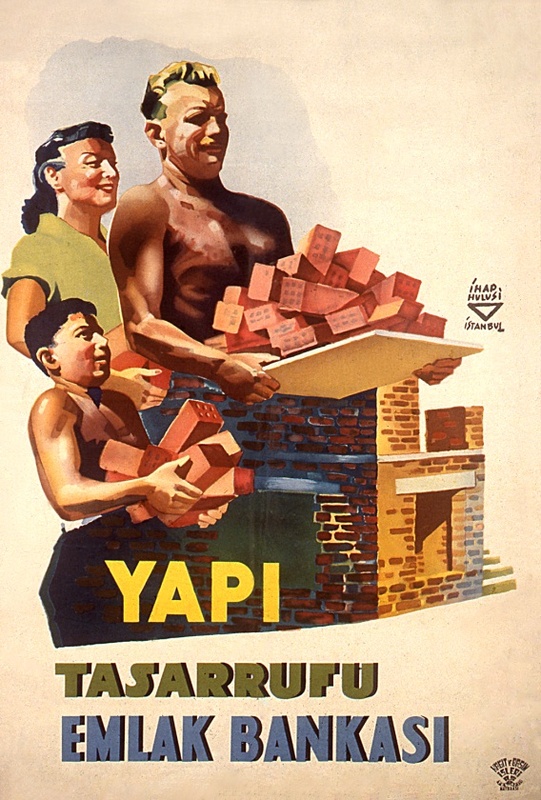 The bulk of the exhibition thoroughly documents the trajectory of dwellings in Turkey, with explanatory texts accompanied by photographs and adverts from various archives. While the preponderance of written material makes the exhibition a bit cumbersome – I kept thinking that the heavily researched panels would be easier to digest as a catalogue – anyone with an interest in architecture or the home in Turkey will have more than enough material to geek out over. Where Don’t Be Late Home shines is in its examples of individual dwellings. Buried in the massive wall of text are stories about exceptional buildings, many of which I’ve passed by hundreds of times. 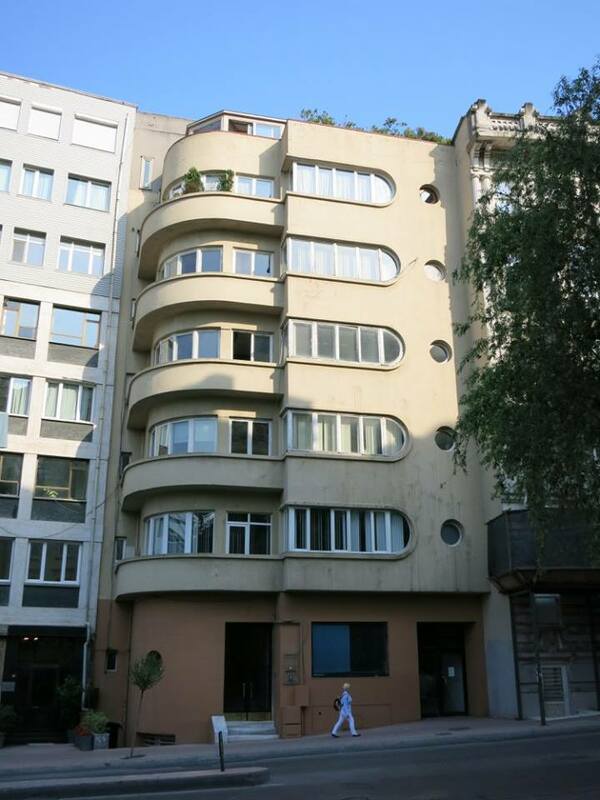 The Vedad Tek House II (approx 1916) on Valikonağı Caddesi in Nişantaşı, with its elegant projections (çıkma), is labelled as a masterpiece of Turkish architectural history, while the Tüten Apartment building (1936), whose curvilinear lines dominate İnönü Caddesi in Gümüşsuyu, is recognised as an important example of the struggle for modernism. 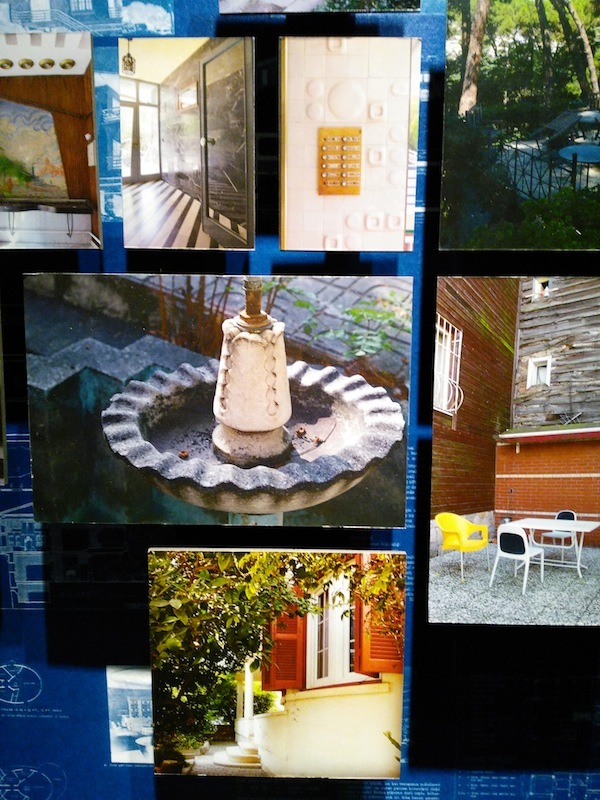 On the other side of the exhibition space is a wall of unmarked photographs capturing the charming and the more mundane aspects of Turkish homes throughout the years. Some of these homes are featured in a short video – the camera captures one room in each house. Despite the absence of their owners, the rooms exhibit the familiar touches of home in Istanbul: the caw-caw of distant seagulls, ornate couches, a television blaring a Turkish news programme and a doorbell chiming Beethoven’s Für Elise. It was the sound of the doorbell that drew me into the screening room, but it also drew me out: different doorbells were placed at intervals throughout the exhibition, a project executed by the artist Cevdet Erek. I saw numerous visitors gasp in recognition at a sound they hadn’t heard in years, and then run to press the other doorbells like eager kids. 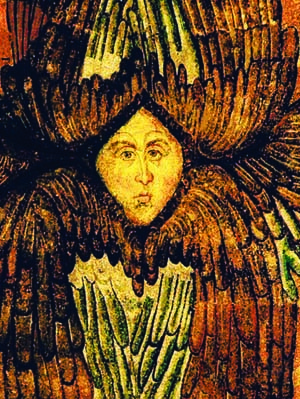 Another show that triggers a trip down memory lane is Scent and the City at the Research Centre for Anatolian Civilisations (RCAC) (ending June 8), only a short walk up the hill from Istanbul Modern. 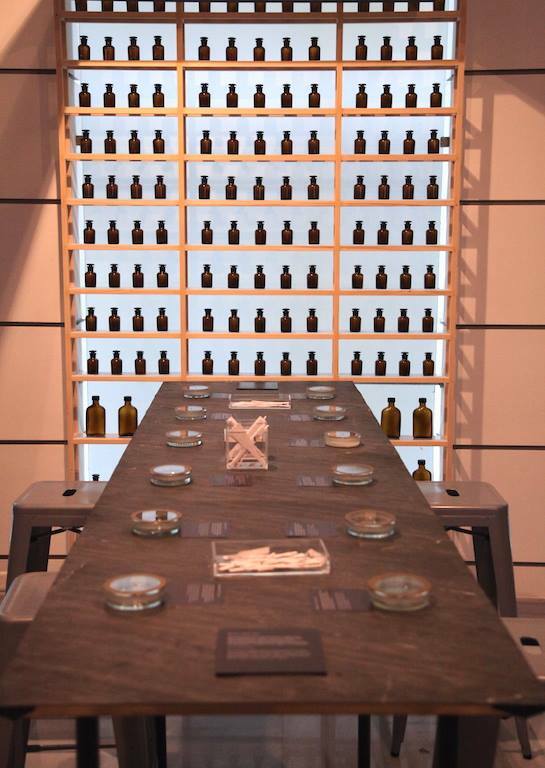 Curated by Cornucopia’s own Lauren Nicole Davis, this exhibition is the first to be exclusively focused on the sense of smell and the recreation of scents from Turkey’s rich olfactory past. The first part of the show explores the science behind the way our sense of smell often awakens memories that sight, taste, sound and touch do not. Since the sense of smell is processed in the brain in a unique way – most olfactory data first goes to the emotional centre of the brain, the amygdala, and then to the brain’s memory centre, the hippocampus – we strongly associate emotions and memories with odours, even from early childhood. I experienced this first-hand at the exhibition. The smell of honey reminded me of late spring afternoons spent with my father, extracting the golden nectar from our hive’s frames with a large, silver-coloured heated knife, and how excited I was to give it a go on my own. Soon after, the smell of fresh coffee grounds transported me back to my parents’ kitchen on cold winter mornings, when the dark room filled with the scent of freshly brewed coffee and I longed to stay in the house all day. 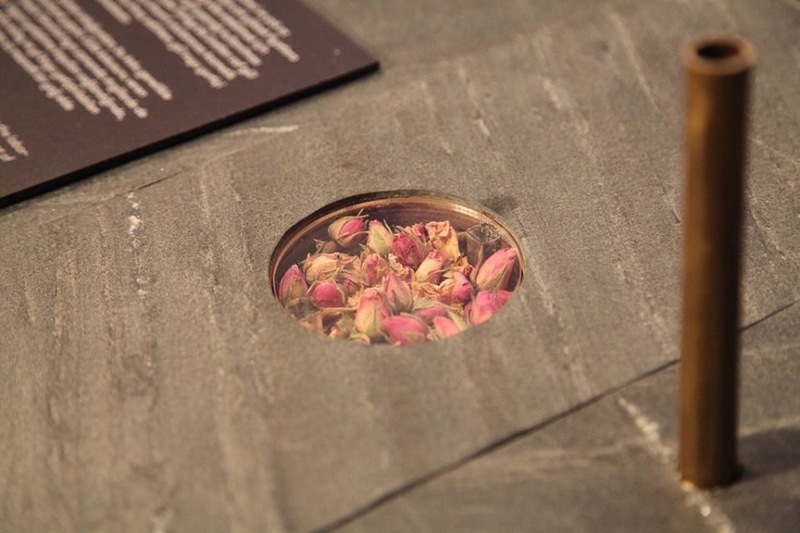 While it’s remarkable that different scents can take you back to a particular place in time, what’s even more remarkable is how Davis and the exhibition's designers, Cem Kozar and Işıl Ünal of PATTU, have created a system allowing visitors to smell individual scents without creating a cloud of perfume in the compact space. Vaporised scents come out of a small tube after visitors press a button. The scents are then drawn into another tube that arches over the first. It makes you feel as if you are in a luxurious laboratory. With this technical aspect of the exhibition so expertly solved, you can easily focus on the past and present ‘smellscapes’ of Turkey. Using written historical records from the Hittite and Ancient Greek and Roman civilisations to the Byzantine and Ottoman empires, Davis recreates the components of lost scents. Among others, you can smell the honey, cedar and sesame used in a Hittite recipe for cleansing water (the recipe for the perfumed ‘fine oil’, the fourth ingredient, is unknown). 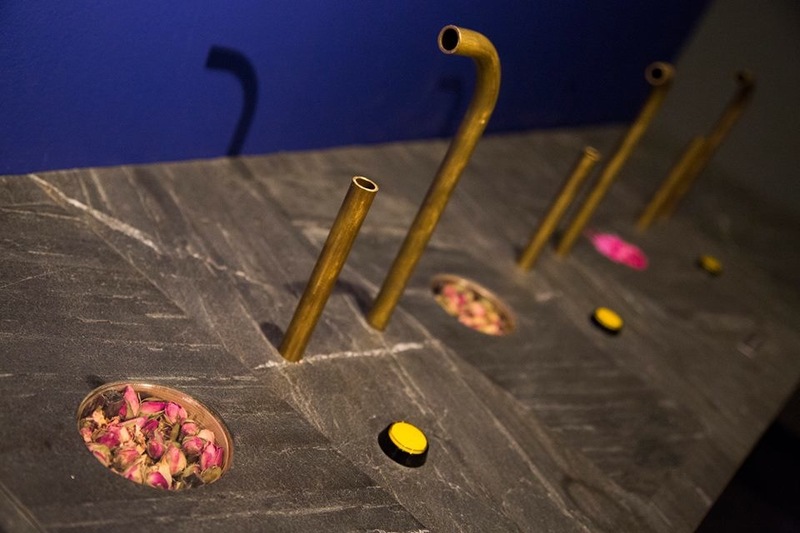 There are also sections dedicated to Turkish coffee, roses and Ottoman incense – in fact, Fulya Yahya recreated Ottoman incense water (buhur suyu), which was often offered to guests after a meal to wash their hands in, from a recipe found in the 18th-century notebooks of the chief laundryman Yusuf Ağa. On your way out (assuming your nose is up for it), you can test your own sense of smell at the ‘Guess the Smells’ station. If you still have some energy after all that reading and sniffing, take a short walk up İstiklal to ARTER. There are three solo exhibitions on display until May 15, two of which will make you see the natural world through a new lens. Bahar Yürükoğlu’s solo show Flow Through takes as its departure point her travels to the Arctic Circle in 2015. Building upon this place of extremes – in the summer the sun doesn’t set, while in the winter darkness prevails – the artist creates fictional spaces that test the visitor’s perceptive capabilities. 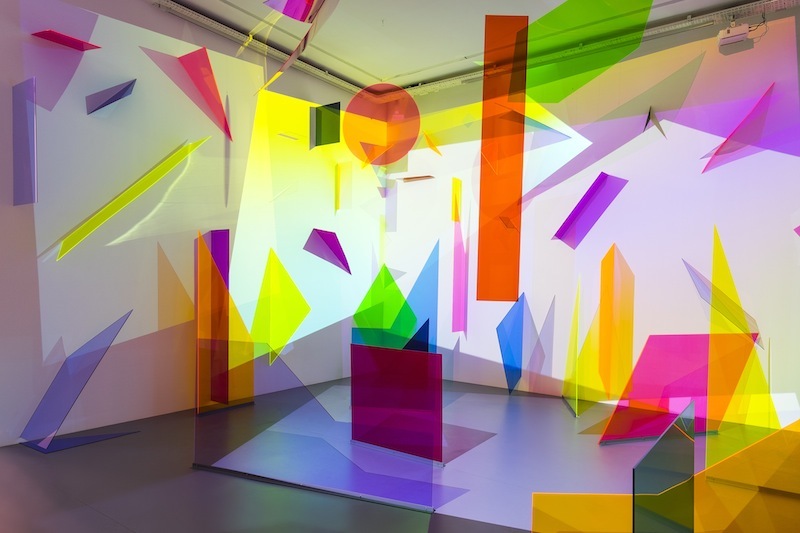 In her work ‘Plexiberg’ she uses light from projectors and plexiglass plates of various size, shape and colour to create a deconstructed iceberg – the resulting visual riddle plays heavily with the translation between two-dimensional and three-dimensional space. This playful approach can also be seen in her photographs of Arctic landscapes. By complicating the original image with filters, reflections, disjunctions, and collapsing and expanding the picture plane, Yürükoğlu creates a trompe l’oeil effect and endeavours to overcome the limits of Cartesian space. One floor up is Murat Akagündüz’s exhibition Vertigo, which also raises questions about cartography and visual representation. 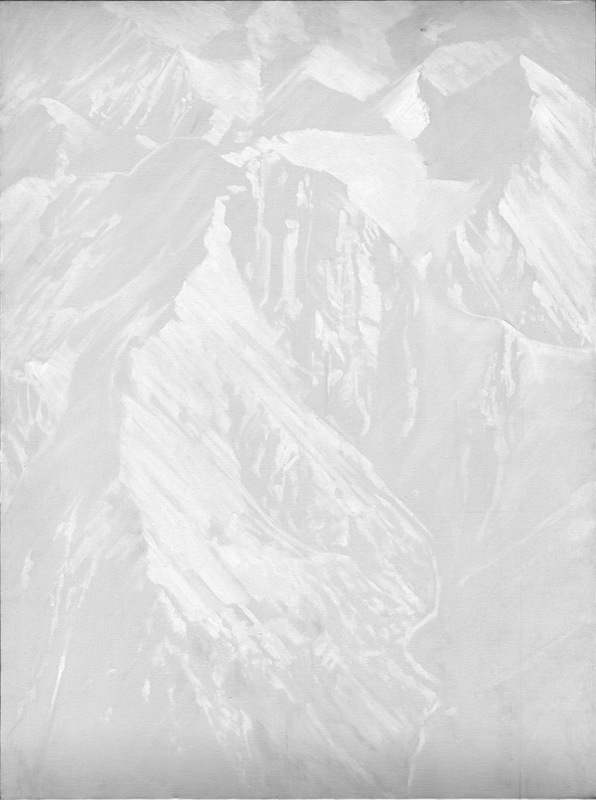 In a series of 13 paintings the artist depicts some of the world’s highest mountain peaks as seen on Google Earth. Painting with the colour white he has created works that appear abstract when viewed close up. Only when you move away from the painting does the subject show itself – I felt like I was searching for the hidden image in a Magic Eye picture. The resulting spatial disorientation creates a tension that the viewer can silently contemplate, for the space feels as if it has been blanketed with a sound-absorbing snow. If you’ve made it all the way to the end, pat yourself on the back and head to Mikla on the roof of the Marmara Pera for a celebratory glass of wine and dinner with a view. ‘Flow Through’ and ‘Vertigo’ at ARTER end on May 15, ‘Scent and the City’ at the RCAC ends on June 8, and ‘Don’t Be Late Home’ at Istanbul Modern ends on June 26. All photos provided by the museums/galleries unless otherwise noted. To learn more about Istanbul’s historic European quarters, purchase Cornucopia 51, Istanbul Unwrapped: The European City and the Sultan’s New City.